Income and jobs surge in Top 20 Accountancy Firms, as fee total passes €2 billion for the first time; Dublin emerges as clear winner in Brexit relocation choices; Opposition to SF 'No Consent' Bill builds; A Day in the Life: 'The finance team are far more than retrospective number counters at Ding'; The Irish Tax Monitor: Brexit considerations - the tax implications of potential outcomes; Ireland's Transfer Pricing Rules: preparing for Finance Bill 2019; An Irish version of the FBI? 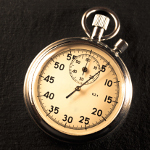 - the new Corporate Enforcement Authority under the spotlight in the Dillon Eustace Regulatory Investigations Quarterly. 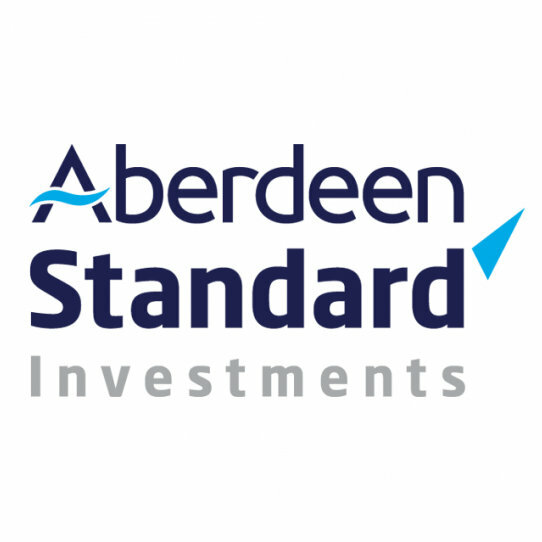 16th April 2019: A&L Goodbody has announced the appointment of Eileen Roberts as Chair of the partnership. One of the foremost commercial litigation advisers in the jurisdiction, she will succeed ALG's current Chair, Catherine Duffy, on 1st May. After a successful three-year term Catherine will continue her role as one of the firm's senior finance partners. 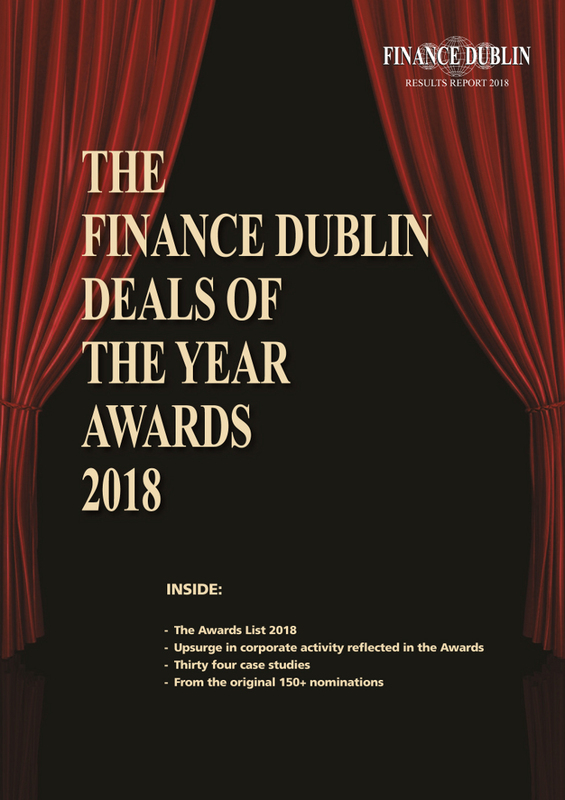 There has been an upsurge in nominations for this year's Finance Dublin Deals of the Year. It reflects the continued strong growth and development of the economy and financing activity within it, as reflected by a 62 per cent growth in the number of loans and financing deals nominated and a 63 per cent rise in M&A nominations. 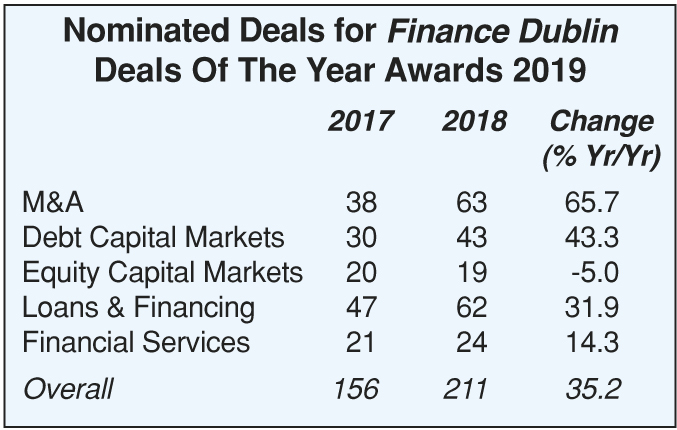 The buoyancy of both the domestic Irish economy and its growing global footprint, reflected in the surge in financial services deals in the nominations for the Finance Dublin Deals of the Year Awards 2019 is evident in the number of Nominations profiled in this issue. 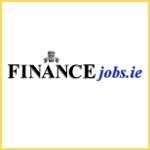 The 2019 Awards will be published in the next issue of Finance Dublin appearing in May. The results of the Finance Dublin 2019 Top Twenty Accountancy Survey are strong evidence that the post Brexit Irish IFS model is working. 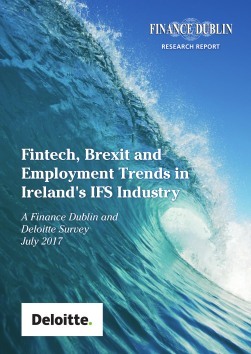 Furthermore, the findings of the survey, taken in conjunction with the commentary in this issue by the Managing Partners of Ireland's leading firms provide strong grounds for concluding that Brexit will be a net positive for the Irish economy as a whole, and not just the most outstanding elements of it, such as the international financial services industry. Clearly, the 13%+ growth rate recorded in the past two years is evidence of the continuing buoyancy of the island economy - the survey figures confirm this. 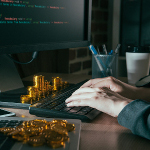 They also give encouraging evidence of the broad based nature of it - including the agribusiness sector, and Northern Ireland too; the fee data from 8 of the largest firms in the survey relates to business they conduct on an all-island basis. 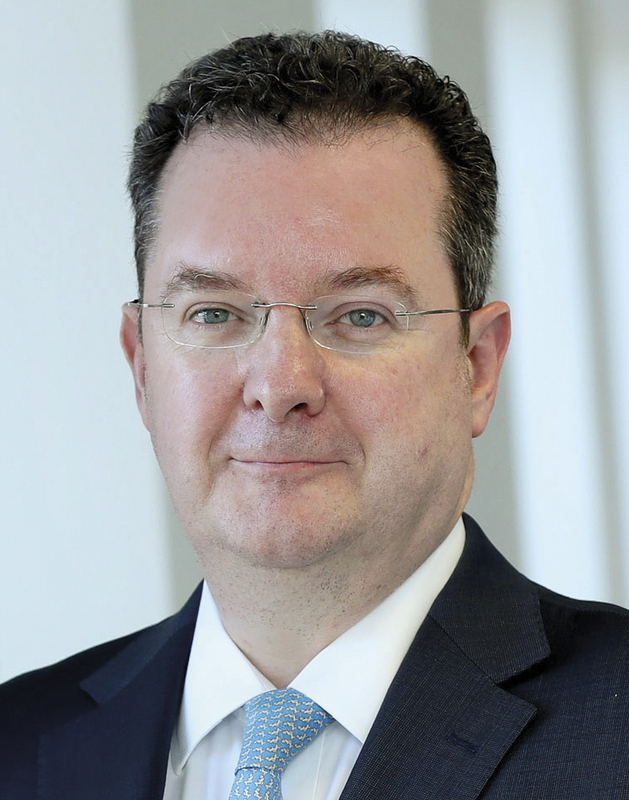 2nd April 2019: Northern Trust has appointed Meliosa O'Caoimh as country head, Ireland. She succeeds Clive Bellows, who in late-2018 was appointed as head of Global Fund Services for Europe, the Middle East and Africa. Reporting to Bellows, O'Caoimh is responsible for all asset servicing business activities conducted from Northern Trust's Dublin and Limerick offices. 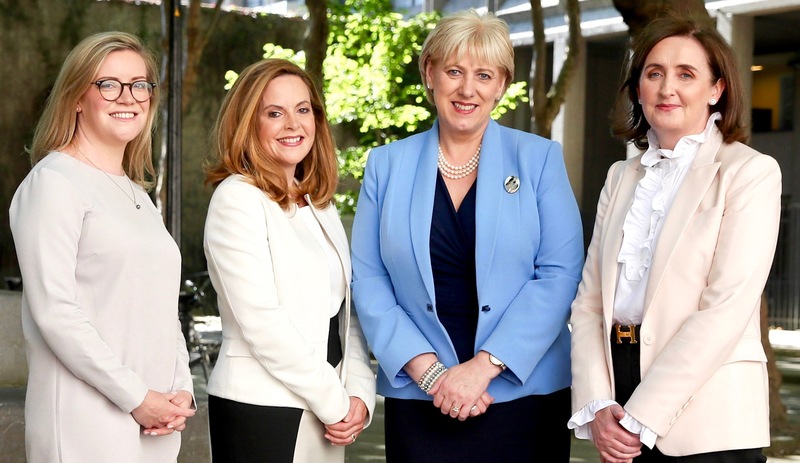 3rd April 2019: Intertrust Ireland has announced the launch of their fund administration business, complimenting their existing fund service offering in Ireland. 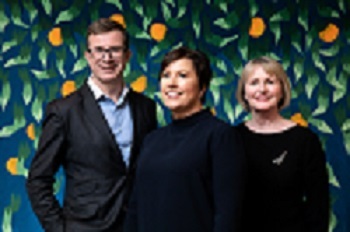 Intertrust will now provide administration services to both Irish and non-Irish domiciled collective investment schemes (including the performance of valuation services, fund accounting services and acting as transfer agent or registration agent for such funds), specialising in alternative investment funds. Thanks to the support of John Hancock, the principal sponsor of the Boston Marathon, basis.point has been selected by the John Hancock Non Profit Programme to receive a charity bib for the 123rd Boston Marathon. 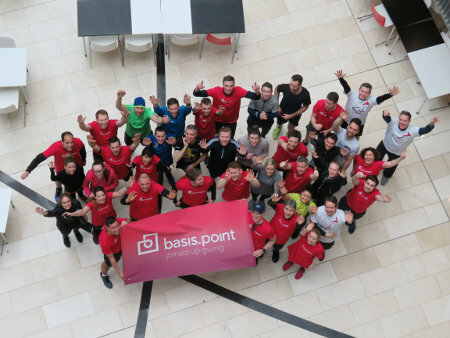 On the 15th of April 2019, one of the basis.point patrons, Richard Day of ML Capital, will rise to the challenge and run on its behalf to raise much needed funds to support a number of worthwhile basis.point programmes active in the field of educational disadvantage. 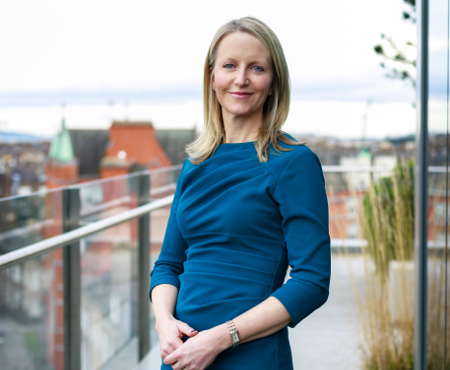 25th March 2019: Arthur Cox has chosen a partner in the firm's Finance group Orla O'Connor to be its next Chairperson. She will take up the position on 1 May, succeeding Ciaran Bolger who is completing his six year term and will be returning to full time practice. 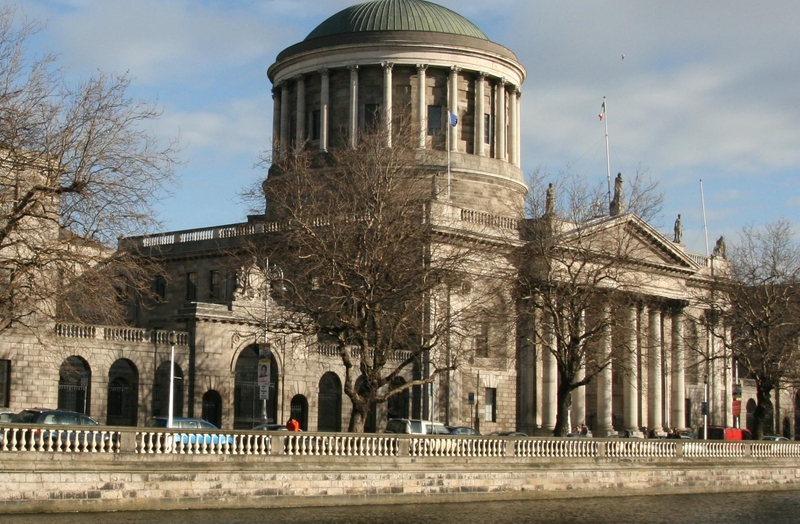 A member of Arthur Cox's Financial Regulatory Group she has advised on bank reorganisations and on a wide range of regulatory issues relating to payments, electronic money, anti-money laundering, mortgage arrears and consumer credit. 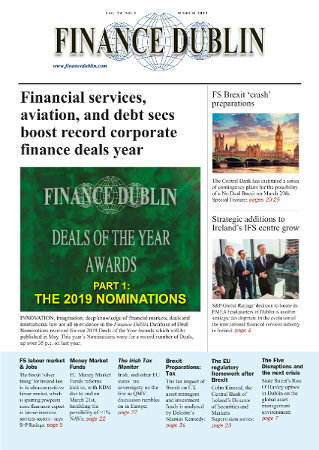 In this issue: Deals of the Year Nominations 2019 - 211 deal nominations reflect a robust year across virtually all categories with debt securities, financial services and M&A showing upsurges; Eve of Brexit Contingency Planning: Special on the regulatory preparations in Ireland for a disorderly Brexit; Strategic developments in Irish IFS continue - S+P's EMEA move; EFF Reports: include State Street's Ron O'Hanley on the global environment of asset management; Tax: Brexit preparations, and wider issues. In 2018, IDA Ireland won a record 60 individual investments across banking, payments, insurance, investment management, market infrastructure, aircraft leasing and financial technology. 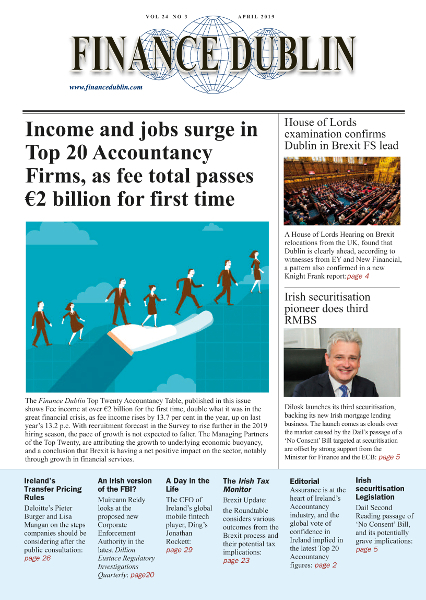 Writing in the January issue, IDA Ireland's IFS chief Kieran Donoghue also says "at present, firms are establishing the foundations of a new or significantly expanded presence in Ireland, while simultaneously meeting CBI substance requirements, reconfiguring their overall EU business and monitoring the tortuous process of the UK exit. When this phase is complete, they will then begin to consider future plans and ways in which to leverage and develop their new Irish entities". 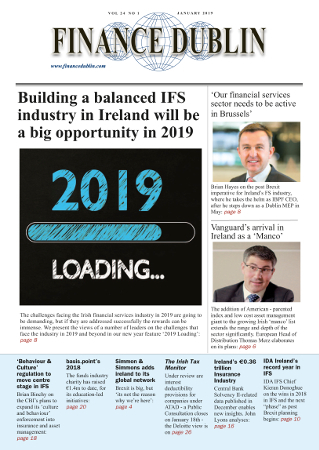 In this issue: Brian Hayes MEP - on the IFS agenda for 2019 and beyond; The IDA's record IFS year in 2018 - IDA Ireland IFS Head, Kieran Donoghue on the Brexit rush and where it is leading potentially; Simmons & Simmons plans for Ireland; Vanguard speaks about their Ireland Manco plans in asset management; basis.point's great year in 2018; 'Behaviour & Conduct' in IFS regulation; Corporation Tax: the ATAD interest deductability and hybrids issues - and the Public Consultation closing on January 18th. 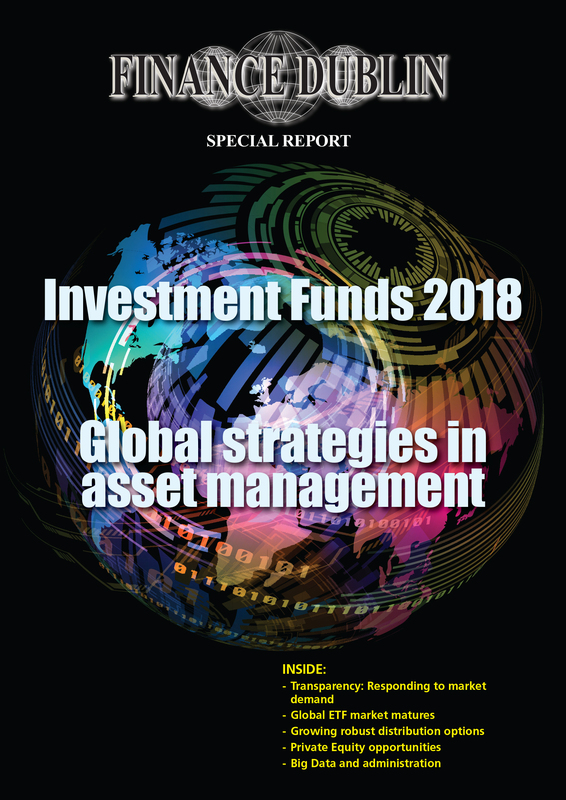 In this issue: Special Report: Investment Funds, Ireland 2019. 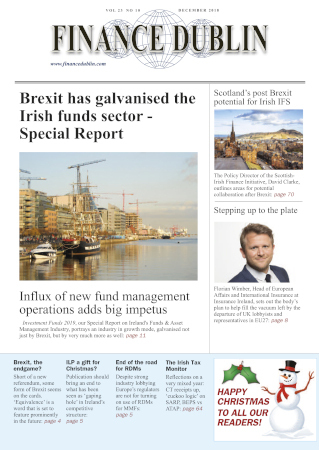 The EU27 Agenda for Ireland's international insurance industry; The Scottish-Irish Finance Initiative sets out plan for post Brexit cooperation between Scottish and Irish FS industries; Jacob Rees-Mogg's Brexit-busting Irish funds vehicle; Finance Act 2018 dissected; 'Real asset' Depositaries given the green light and, the Investment Limited Partnership legislation is promised.